Eastleigh is situated within close proximity to many of the main towns and cities in the south- by car Eastleigh is under 2 hours from central London and as little as 15 to 20 minutes from both Southampton and Winchester. 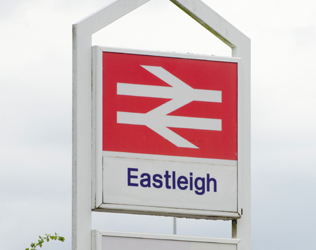 Right in the heart of the town is also Eastleigh railway station, with regular train services to all the main local towns and cities including Southampton Central, Winchester, Basingstoke, London, Bournemouth, Salisbury, Portsmouth, Winchester and many more. Winchester and Southampton are as little as ten minutes journey away by train. There are also frequent bus services running to surrounding areas such as Fair Oak, Chandler’s Ford, Hedge End and Southampton. Whether you are planning a trip to Eastleigh or are a local resident, this page provides useful travel information – and links to all travel service providers – on getting to, from and around the town. You can also access information about public transport at Trainline, Traveline or at Eastleigh Borough Council’s public transport pages. South Western Trains for all services from London Waterloo, Southampton, Bournemouth, Weymouth and Portsmouth and many other local stations. Cross Country Trains (changing at Southampton Airport Parkway or Winchester to local trains calling at Eastleigh) for intercity journeys to Reading, Oxford, Birmingham and the north. Southern Trains for services from London Victoria and Brighton and subsequent stations. Services to Eastleigh are infrequent. Rail Information can also be found on the National Rail website. There are a number of bus operators working in the Eastleigh area, all of which are listed below. 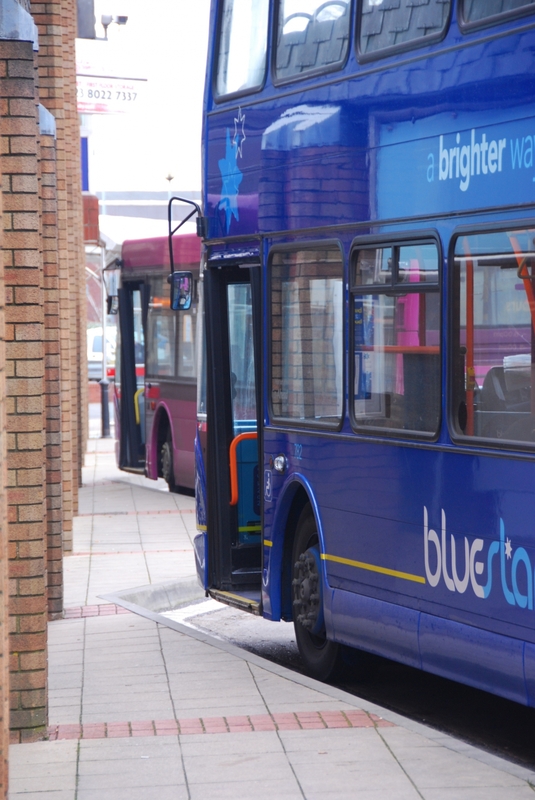 Bluestar for services to Bishopstoke, Fair Oak, Southampton, Romsey, North Baddesley and parts of Eastleigh town such as Boyatt Wood and Aviary. Xelabus for services to various place sin the surrounding area including West End, Hedge End, Velmore, Chandler’s Ford, Horton Heath, Botley and Bishops Waltham. First Bus for services in the Southampton area and across to the Portsmouth area. Traveline is an excellent tool for planning your journey here by bus and train. Eastleigh Borough Council also has comprehensive public transport information available on their public transport webpages. 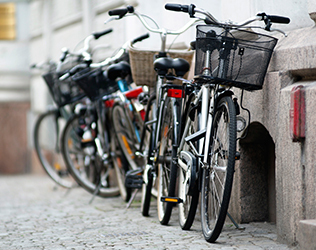 There are a variety of off-road and on-road cycle routes around Eastleigh serving both commuting and leisure journeys. In particular there are good quality off-road routes eastwards to Bishopstoke and Fair Oak, and westwards along Leigh Road towards Fleming Park and Chandler’s Ford. There are also good “quiet road” routes across the southern part of the town, connecting to off road paths southwards towards Airport Parkway station and Southampton. Best of all, there aren’t many hills here! Eastleigh Borough Council’s cycle network map shows all these routes and more, and can be accessed here. For planning a cycle journey, we recommend use of Cyclestreets journey planner. Commonwheels Car Club is a pay-as-you-go car hire scheme where users can book a car either over the phone or via the internet for a minimum of half an hour and for as long as a vehicle is required. This is a fantastic initiative for residents of Eastleigh that offers all the benefits of owning a car, without the expense or hassle. There are four Co-wheels cars in Eastleigh town centre- two low emission hybrid cars, and two zero emission Renault Zoe electric cars. For more information call 0845 602 8030 or visit the Commonwheels Website.